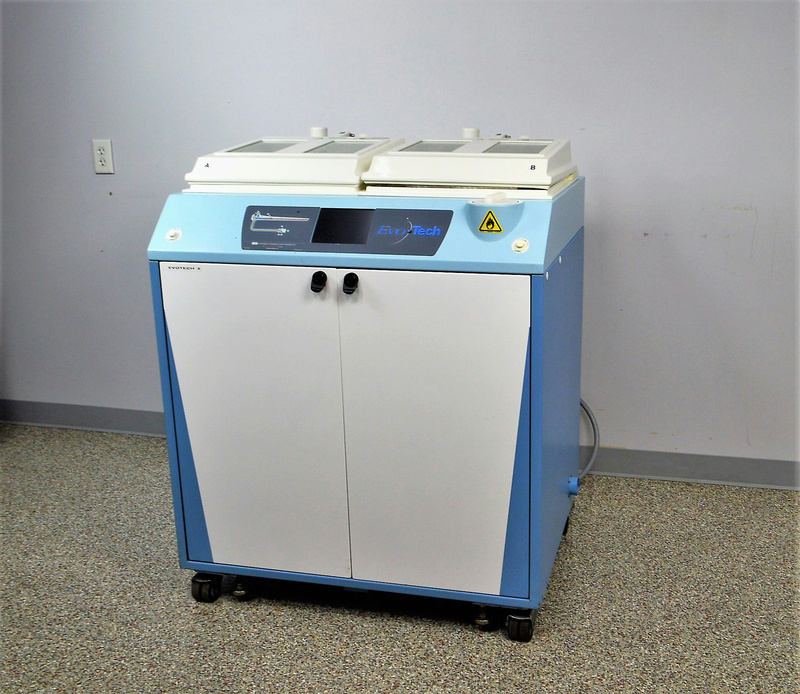 Advanced Sterilization ASP Endoscope Washer Cleaner Reprocessor Evotech 50004 . New Life Scientific, Inc. The technicians powered on the endoscope cleaner, but they were unable to fully-test it due to application requirements. The Evotech requires a three-phase receptacble, a water supply, and drain for consistent testing to check for leaks, functionality, and proper water / detergent disposal. The last sterilization recorded on the internal log was 2015.